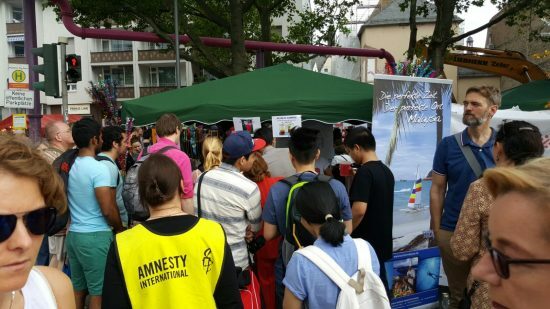 Visitors to MCD booth at Parade der Kulturen (Parade of Cultures) 2016 were curious about Malaysia. 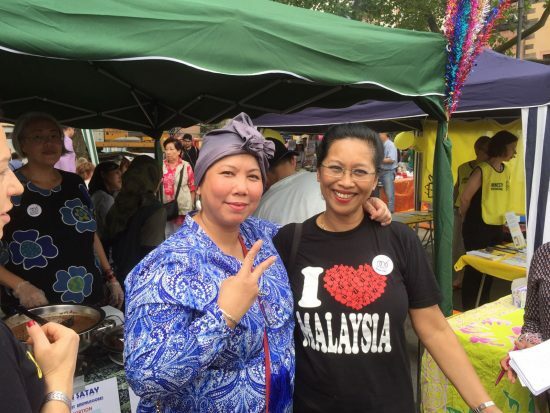 Who are Malaysians? This is a common question posed to us whenever we talk about Malaysia, be it at work or at such events. 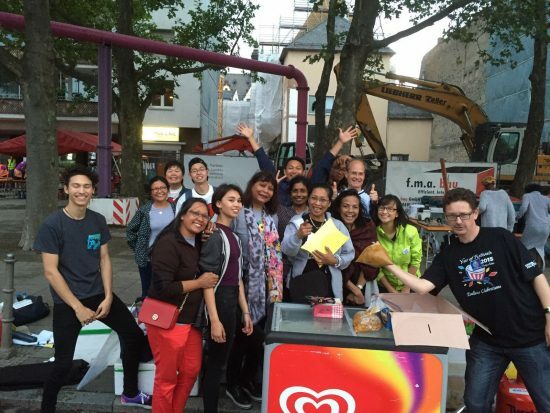 I have been living in Frankfurt for 5 years and even at workplace, having to explain what or who Malaysians are invite oohh and ahhs. 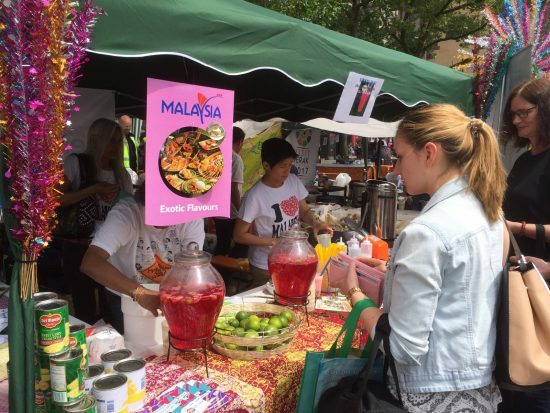 Unlike many countries which are mono-ethnic, Malaysia is made up of Malay, Chinese, Indian and indigenous people of Orang Asli, Sabah and Sarawak. 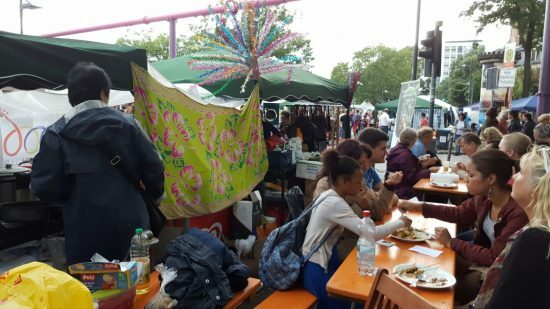 It is no wonder that visitors are surprised to see many faces from different races – Malay, Chinese, Indian, indigenous or mixed. 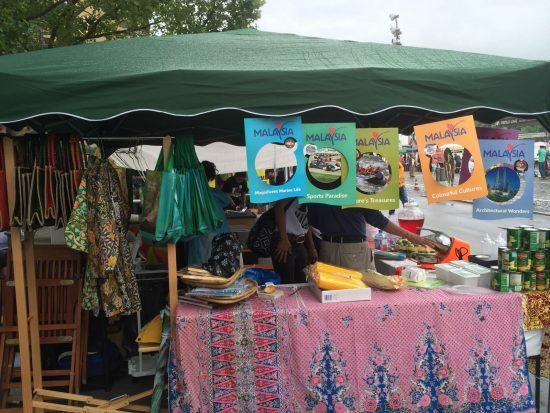 We speak English as well as our Malay language (Bahasa Malaysia) and our respective mother tongues. 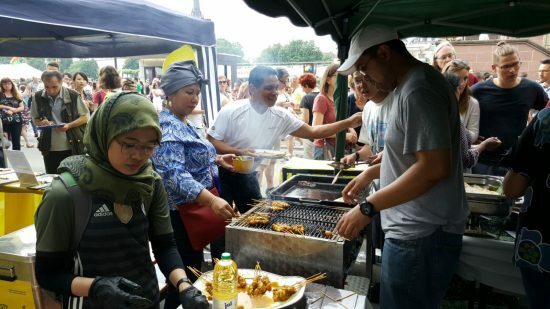 This makes Malaysia truly unique. It makes Malaysia MALAYSIA. 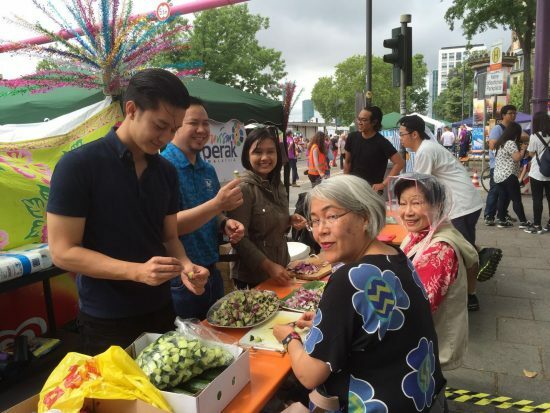 Seeing different races coming and working together has been a part of our Malaysian culture, MUHIBBAH – goodwill and camaraderie – and a spirit of gotong-royong. 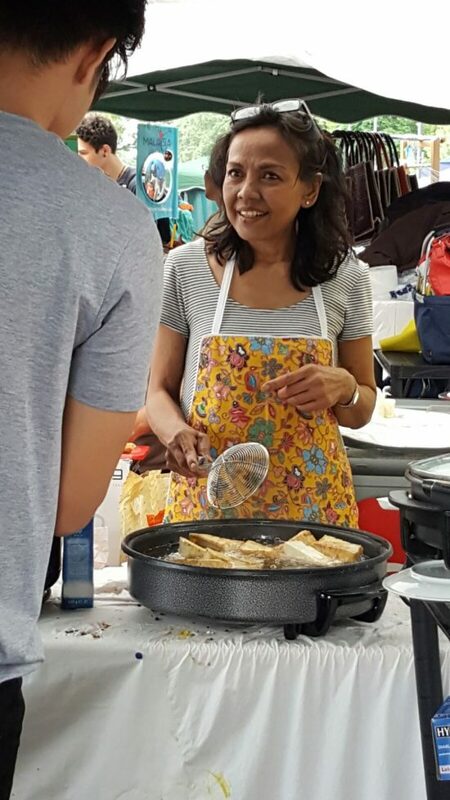 Members, family and friends have been working hard for the past 2 months preparing ingredients for many main dishes such as rendang tok, curry puffs, chicken satays, curry chicken. 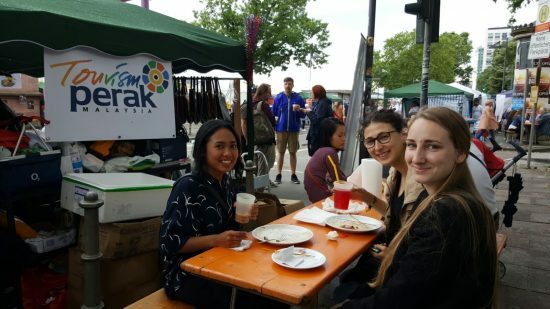 Our MCD Patron and Consul-General of Malaysia in Frankfurt Adina Kamaruddin has been a motiving force in encouraging and supporting our planning and preparation. She offered her official residence for us to prepare the base materials. 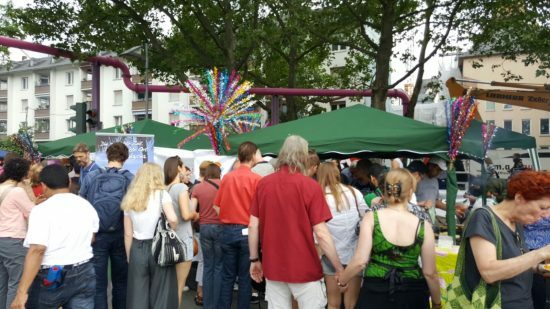 See you again at Parade der Kulturen 2018! 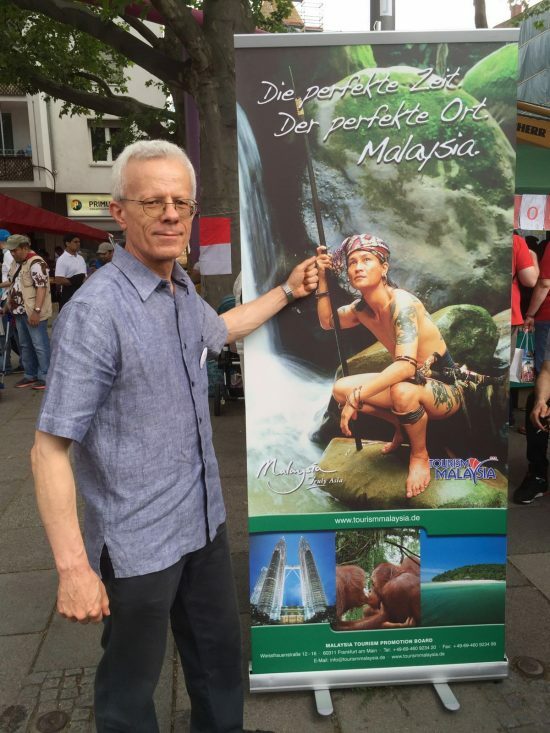 Photos courtesy of Uwe Fisher/malaysia-insights.de and MCD members. 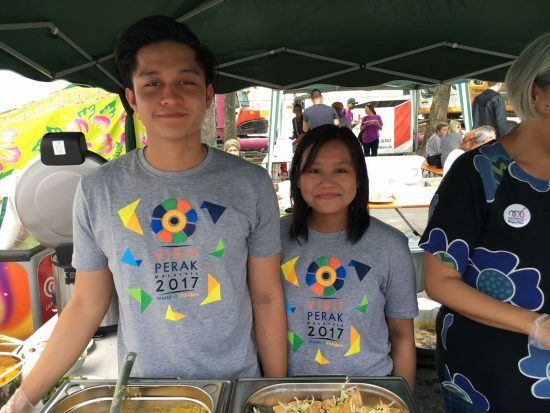 The state of Perak is one of the 14 states that made up the Federation of Malaysia. “Perak” means silver in English and is one of the richest states in Malaysia due to its vast tin resources. During the heydays, Perak was the world centre for tin production. 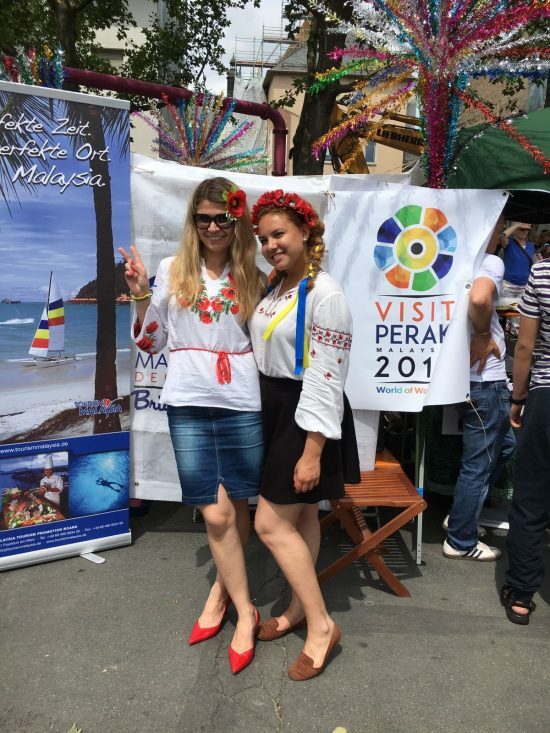 Perak is also famous for its beautiful limestone hills and caves which dot the its state city Ipoh and its surroundings. 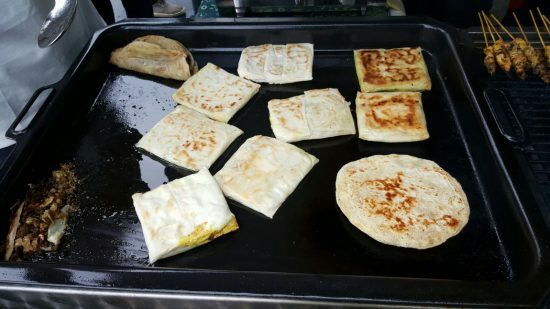 No visit to Perak is complete without visit to limestone caves and savouring the local delicacies such as rendang tok, dim sums and the famous ipoh white coffee. 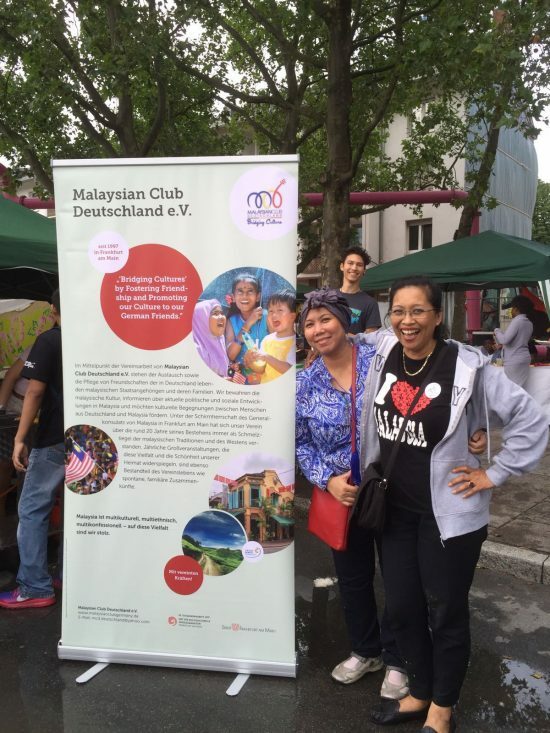 In conjunction with Visit Perak year 2017, the Consul-General of Malaysia Adina Kamaruddin mooted the idea with Malaysian Club Deutschland, Tourism Malaysia in Frankfurt to highlight and promote the state of Perak at the Parade. 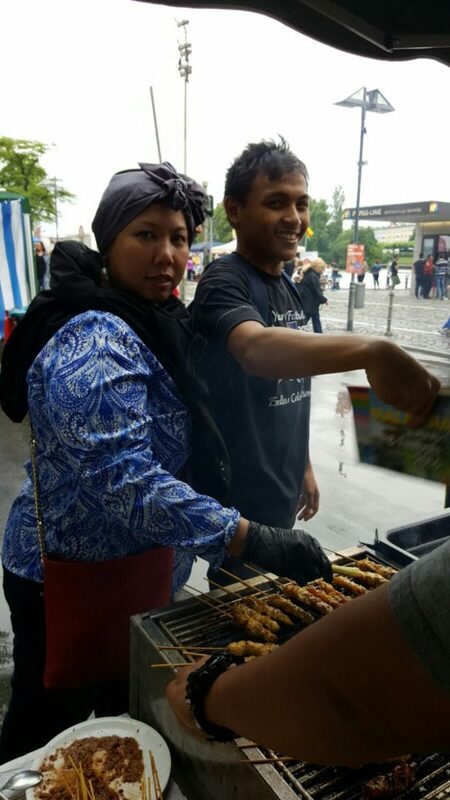 This is part of the transformation and inclusivity programme by the Consulate-General of Malaysia in Frankfurt in recognition of the active participation MCD plays in Germany in bridging cultures and introducing sights, tastes and sound of Malaysia. 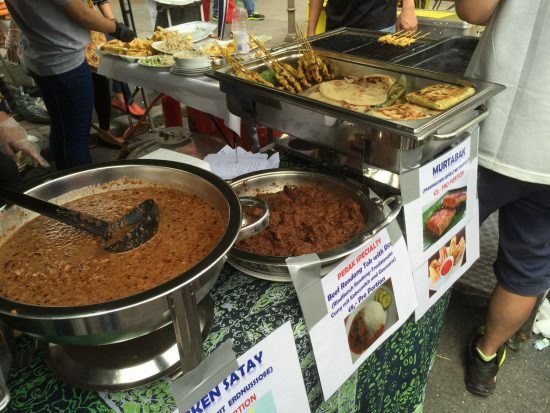 Malaysian Club Deutschland (MCD) serves the popular Perak dish – Rendang Tok (Beef Rendang) as part of its offerings at the Parade. 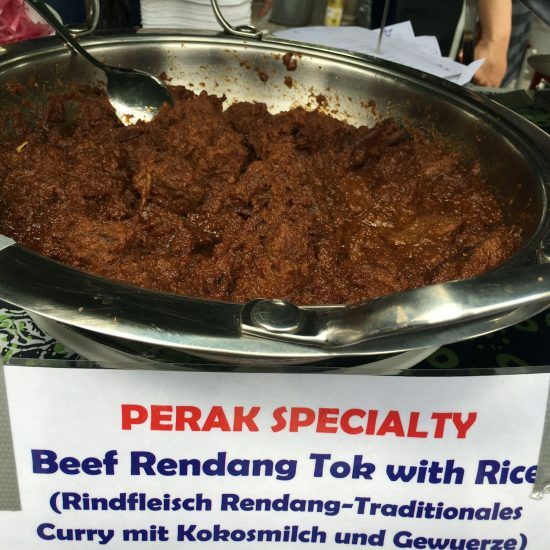 Traditionally, this rendang was served at palaces in Perak for the royal family and guests. Tok in Malay means “grandparents” as is “datok” (da-tok) but it also means elders. 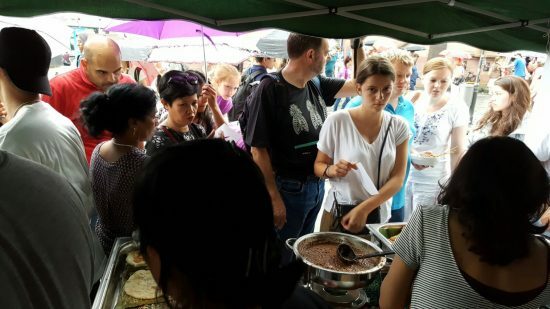 It was our fastest selling dish that we had to turn down many disappointed visitors, some who had been to Malaysia and tasted rendang tok and felt in love with it. 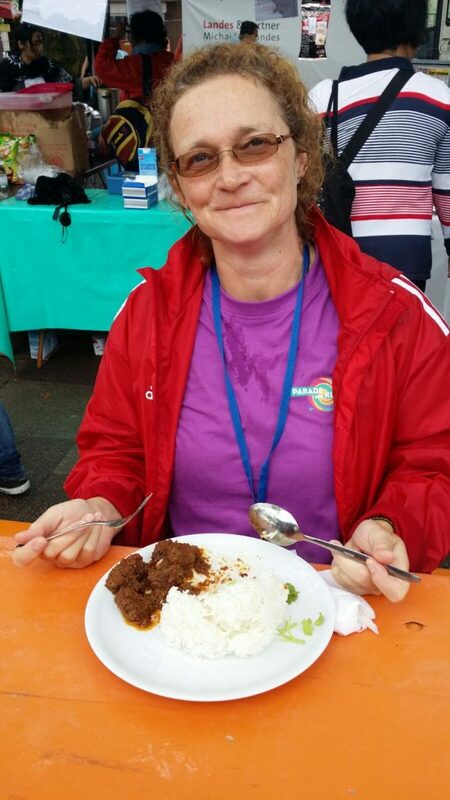 Well, at least one visitor was very pleased with her rendang tok. 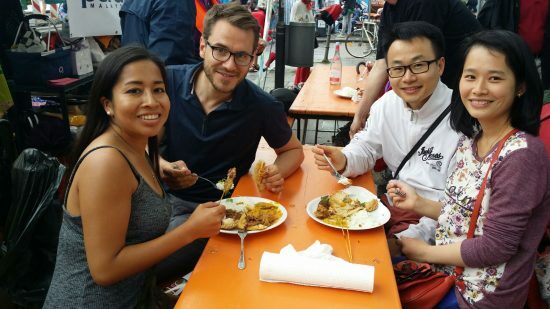 We hope to bring back this dish in Parade der Kulturen 2018. 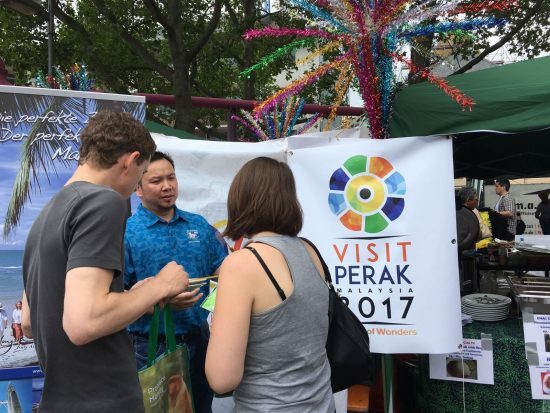 For more information about the state of Perak and Visit Perak 2017, visit Tourism Perak Malaysia. 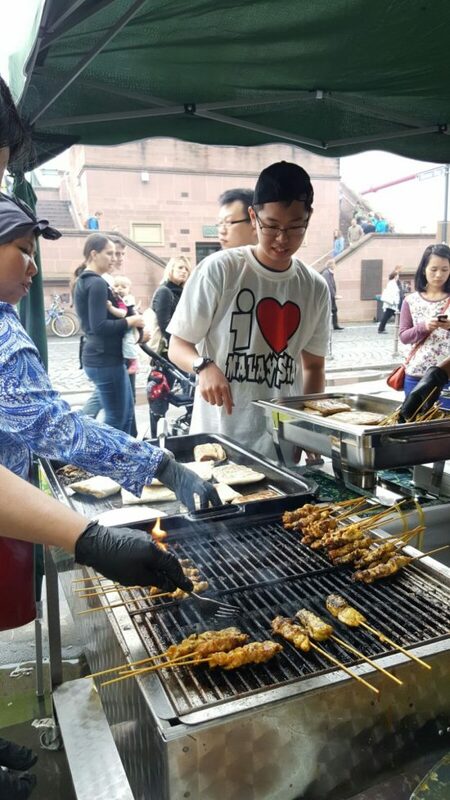 Every 2 years, members and friends of Malaysian Club Deutschland (MCD) dish out the best of Malaysian specialties at Frankfurt’s Parade der Kulturen (Parada of Cultures). 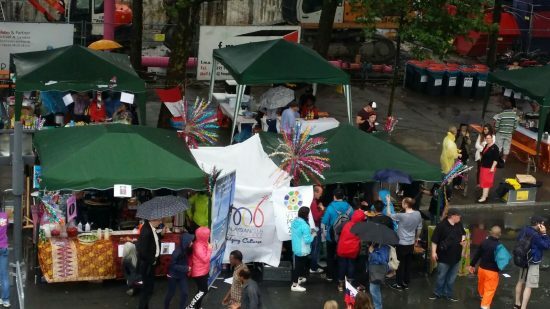 The Parade is a one-day event, open to overseas clubs and societies registered in Frankfurt as part of the city’s aim to promote its potpourri of international residents. 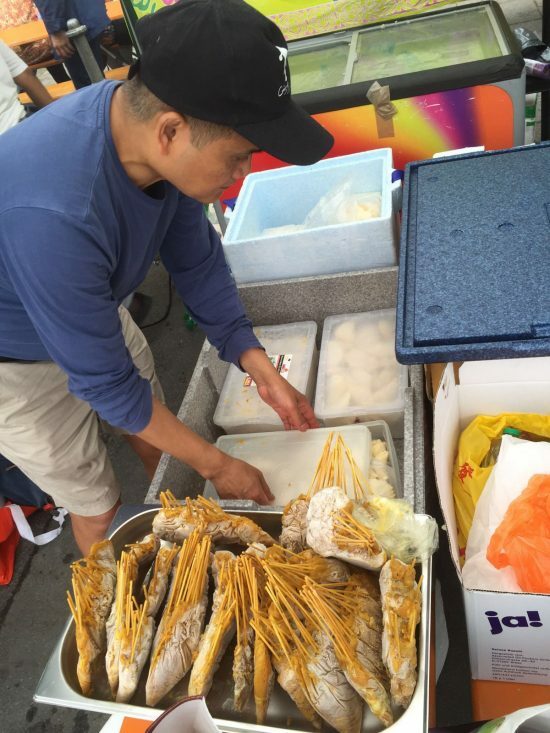 Over 100 clubs serve their respective local delicacies and handicrafts. 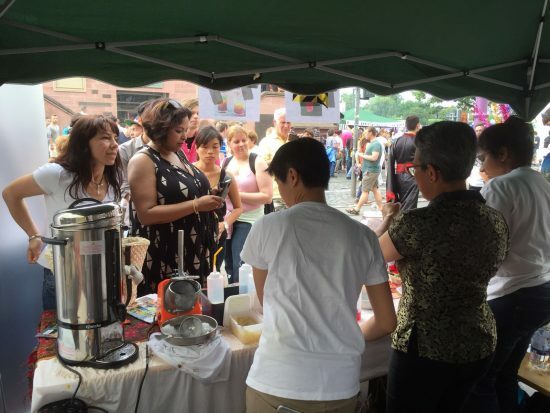 MCD members have been planning for more than one month what Malaysian delicacies that we would serve. 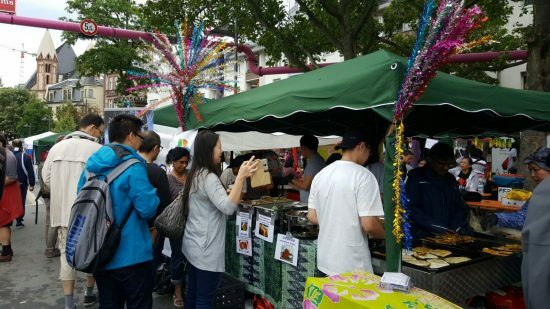 Many names popped out – nasi kandar, char koay teow, mee mamak, pasembor …. 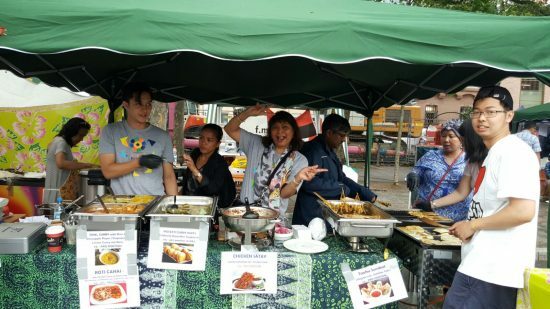 but in the end, these won the day and the heart of our visitors – chicken satay with real peanut sauce (not peanut butter sauce), roti canai with dhal or curry chicken, murtabak (oh yea! 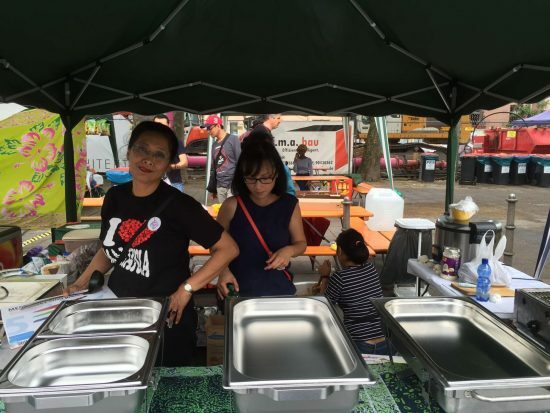 ), taufu sumbat (makan sampai lompat), our Perak specialties – rendang tok (beef rendang) and pineapple pajeri, curry puff, pisang goreng (banana fritter) and our world famous teh tarik, sirup limau (lime syrup) and fast- and best-selling ais batu campur (ABC). 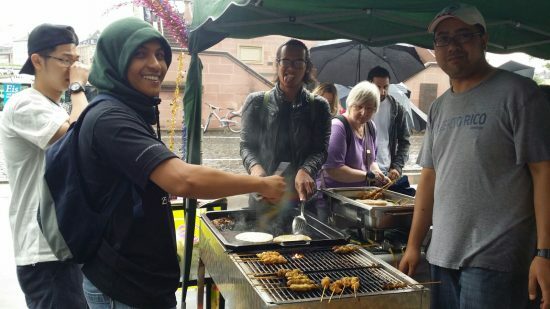 Despite heavy shower at the start of the event, it did not stop the crowd from coming to our stall. 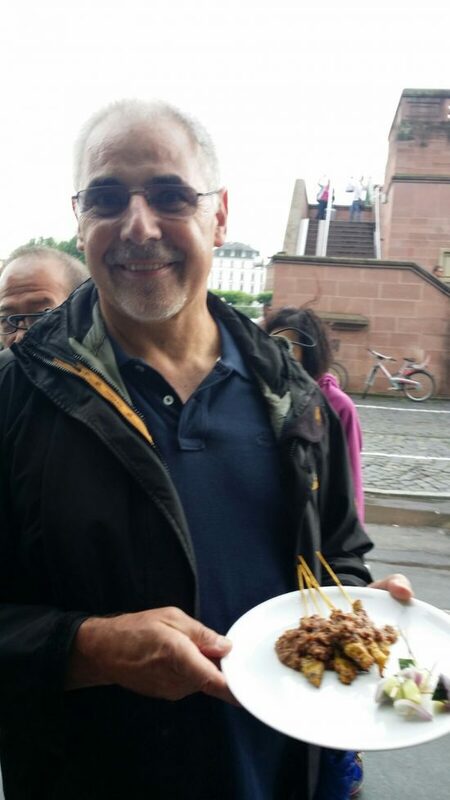 The smell of our satay truly attracts many visitors who are curious of this specialty. 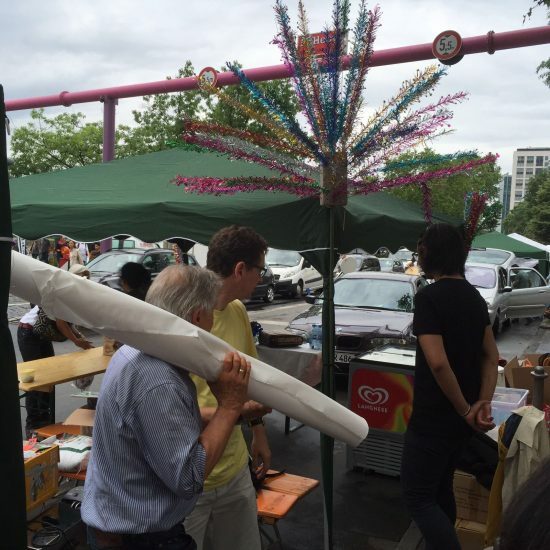 In fact, these were selling like hot cakes.